Have you ever thought to uncover the rich diversity of Aboriginal experiences offered across Australia? Indigenous Australians are warm, welcoming and generous in spirit, all enthusiastic to share their story and insight to their culture, bring landscapes to life to allow a deeper appreciation of Australia. Down Under Answers aims to connect its guests to this culture. 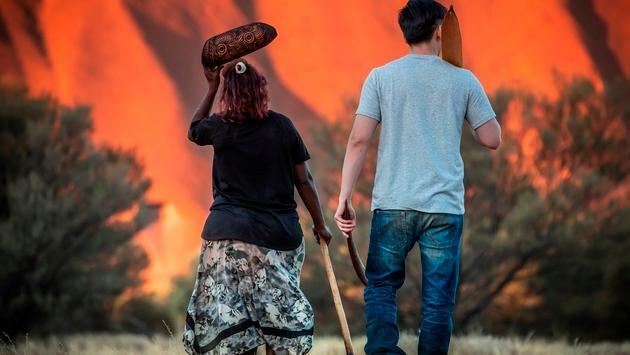 Home to the oldest living culture on Earth, Australia’s Aboriginal guides offer a connection to the place as well as a new way of experiencing it. Not just designated to Outback Australia, every part of the country has a story and experience unique to it, even from the major cities. In the heart of Melbourne lies the beautiful Melbourne Gardens, which was once a traditional camping and meeting place for the Boon wurrung and Woi wurrung people. Today, you can join an Aboriginal guide who will lead you on a journey through the gardens sharing stories and culture of the original inhabitants, along with plant lore of traditional foods and medicine. Visit Adelaide and head north the see the ancient and rugged beauty of the Ikara-Flinders Ranges. Witness stunning sunsets over the vast landscape and connect with the Adnyamathanha people, who will connect you to over 100 million years of tradition. Stay at the Wilpena Pound Resort, which is Aboriginal owned and operated by the Yura people and join one of their hosted tours including a traditional welcome or a tour to the Brachina and Bunyeroo Gorges. Learn to throw a spear, hunt and fish, visit ancestral rock art sites and explore the Daintree rainforest on a Daintree Dreaming tour from Cairns. Visit the Janbal Gallery in Mossman, which exclusively exhibits Aboriginal art. 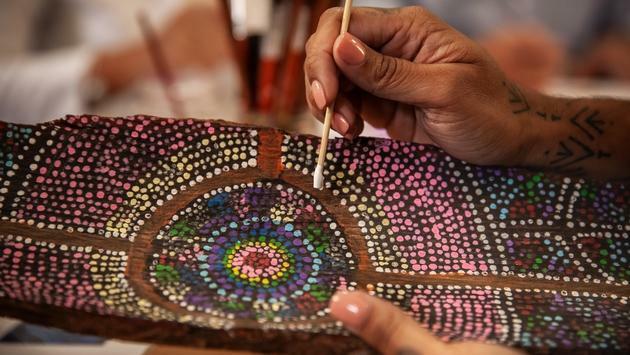 You can join a ‘hands-on’ workshop with storytelling classes to help better understand Aboriginal art. Take a guided walk with a local Kuku Yalanji guide and walk through the lush rainforest, visit culturally significant sites and see traditional bark shelters at the Mossman Gorge Centre. Journey back in time from Dreamtime to the Australia of the 1800s as chapters of a true moving story unfold before your eyes at Spirits of the Red Sand, just 40-minutes south of Brisbane. Immerse yourself in the story of Jarrah and his brothers as two cultures meet for the very first time. Follow the storyteller and a cast of direct descendants through a historic 19th-century village, complete with Aboriginal Gunyah dwellings (huts). Engaging all your senses, witness history retold through this live moving theater experience with a dramatic story, songs, dance, chants and traditions. Whilst in Sydney, join Margret Campbell and her family, who are coastal water people of the Dunghutti and Djerrinjah Nations, for a 90-minute walk. Appreciate Aboriginal history, heritage and culture when understanding the why, when and how we humans all walk on Wyanga Malu (earth mother) to create each of our own footprints, lifestyle journeys and make memories from sacred landscapes. Then, pop over to the Australian Museum, which displays the richness and diversity of Indigenous Australia, with interactive experiences, artifacts and performances. 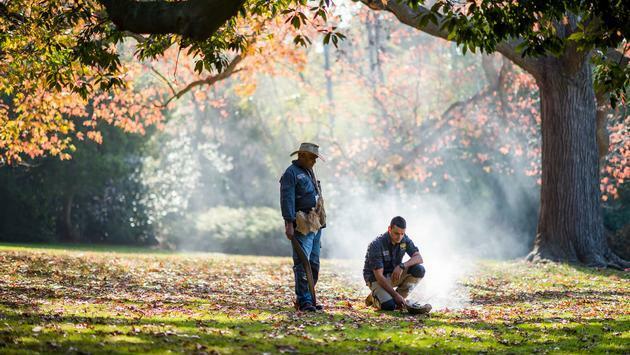 You can then explore the Royal Botanic Garden for an Aboriginal heritage tour with the Cadigal people, one of the 29 clans in the Sydney region. From Sydney, visit the Blue Mountains and take a two-hour guided walk through the Dreamtime on an Aboriginal walkabout. An inspiring and educational journey through ancient grounds, this bushwalk offers a deep understanding of the traditional Darug culture. For a fully immersive experience, travel to Launceston in Tasmania and join the wukalina walk, a three-night, four-day fully accommodated Aboriginal guided coastal walk around the magnificent natural landscape of the larapuna (Bay of Fires) and wukalina (Mt.William). Hosted by the palawa people, spend two nights of absolute comfort in a bespoke palawa inspired (domed) huts and one night in the meticulously renovated Lighthouse Keepers Cottage at larapuna. The experience will provide an opportunity to walk with palawa guides in the footsteps of their traditional people. Down Under Answers plans vacations that include both traditional itineraries and action-packed activities in the destinations of Australia, New Zealand, the South Pacific Islands and Dubai.